Nicorette Mini Lozenges are one of the options you have available to you as a Nicotine Replacement Therapy (NRT). While it is not the only option, many people claim that these are the ones that work. The mini lozenges are available in both 2 and 4 milligram strengths, so you have a choice when it comes to the amount of nicotine you are taking with each mini lozenge. Claims from Nicorette about their mini lozenges state that they “calm the intense nicotine withdrawal symptoms that develop when you stop smoking” and that Nicorette “gives you the solutions and resources you need to change all your smoking behaviors.” Some of their customers would agree, and have very positive things to say about them. 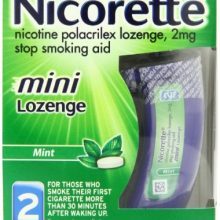 A number of users claim that these Nicorette Mini Lozenges are better by far than any generic version or any other company’s name brand lozenge. Reviews posted by users to multiple sites enthusiastically claim that the user tried many different methods including the patch, nicotine gum or other lozenges before finding success with the mini lozenges. 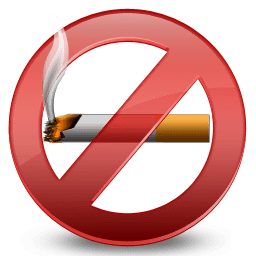 This enthusiasm needs to be taken with a grain of salt, however, since it stands to reason that whatever method helped someone finally kick the habit would be touted as the best aid for smoking cessation available. However, that does not take away from the numerous cases that exist as testament to the fact that the Nicorette Mini Lozenges can be successfully used to quit smoking. There is a word of warning, however. NRT continues to provide the nicotine that your body craves, and therefore prolongs the addiction. “Lozenge addiction” is a very real thing, and while replacing cigarettes with lozenges is better for your health, the lozenges (or gum) can become a dependency all their own. Long term use of lozenges or gum can cause health issues, too, and shouldn’t be underestimated. The NRT that you choose is designed to be used for a period of time, and not for multiple years. Be that as it may, Nicorette Mini Lozenges have helped people quit smoking. Some people even claim it is the easiest way. Nicorette is the first to reiterate that no method is 100% successful and that you must want to quit smoking to overcome the powerful addiction that is nicotine.